25mm «Suad Bejtovic Photography etc. Suad Bejtovic Photography etc. 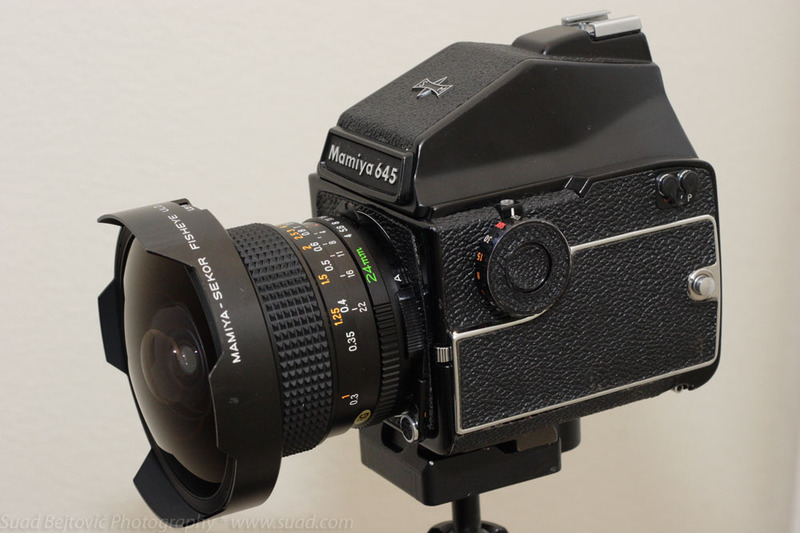 I wrote the other day about my Mamiya 645 camera and the fisheye lens I had for it. This is one of the photos I made with it. A local photographer I know suggested that we look for abandoned vehicle lots somewhere south of the Dallas-Fort Worth area. The field where we found the Desoto Powerflite was one of such locations, and this was another. It looked as if it was someone’s back yard, and it had a lot of old rusted out trucks and cars that still had some really distinctive design features. I made a few shots with my normal lenses, but then I wanted to play around with the fisheye. 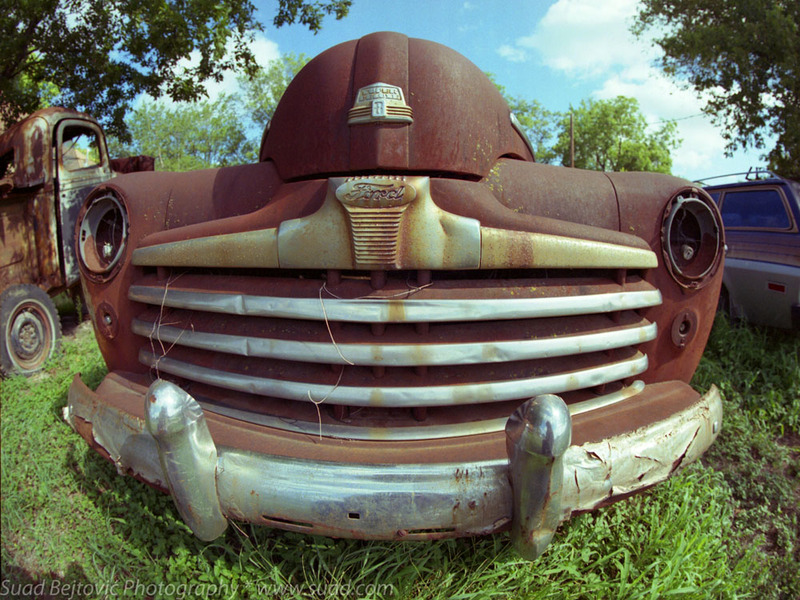 The photo is made from about a foot away from the grille of the truck, and the way the lens curves the lines, it makes it seem like the truck is smiling, like a cartoon character. In the end, I decided that the fisheye lens is a nice toy, but that my preferences lay on the other end of the focal length scale, in the normal to telephoto range. So I sold the lens for a nice profit and eventually used the money to upgrade to the Mamiya 7 I have now. I have no regrets, but I do have a few fun shots. Once I started shooting 35mm film, I found that I was really enjoying the process and the result. Film makes you slow down, think about your shots, and as a result, you usually end up with better photos. I got greedy, though, and I knew I wanted to get into medium format film. I stumbled upon a great deal on Craigslist and bought this Mamiya 645 1000S camera, with the 80mm lens, for $250. I even got an extra body, along with some knicknacks. It was heavy and clumsy, and it took some getting used to, especially since there were some minor bugs that I had to learn the hard way. But I enjoyed the simplicity of it – manual focus, manual exposure, split level focus point, and a gigantic viewfinder. Most of all, I liked the huge image area – when the developed slides would come from the lab, it was just beautiful to look at. I bought two other lenses for it; one was a slightly wider 45mm, which worked brilliantly, and the other was Mamiya-Sekor 24mm f/4 Fisheye ULD C, which was a mouthful to say, and a beast of a lens. It works out to be about 15mm on a regular film format (35mm), which is extremely wide. 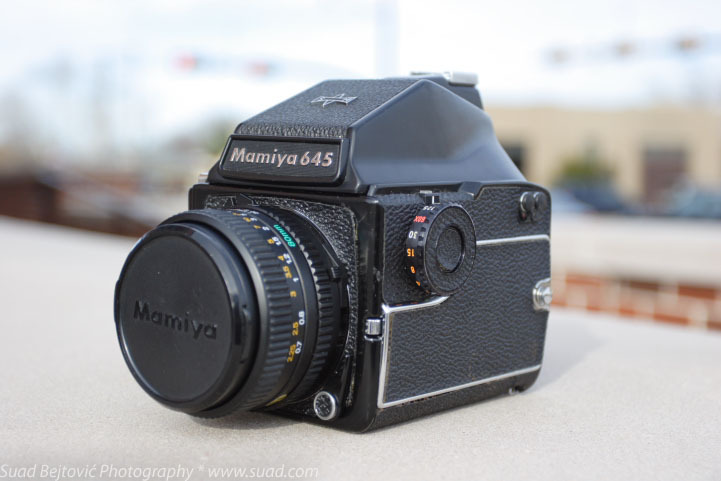 I eventually sold all my 645 gear and traded up for the Mamiya 7 that I have now. I wrote a blog post when that camera was only a shy little wish list entry. Mamiya 7 is a 6×7 format, so it is slightly larger than the 6×4.5 format. The camera is also a rangefinder, so it’s more compact and easier to carry around. I’m still enjoying the medium format film, and I think I have a great camera; I may start getting some more lenses for it soon.